CUPCAKES, THEMED BIRTHDAY CAKES, WEDDING CAKES, BABY SHOWER CAKES OR JUST A PLAIN SPONGE CAKE – WE DO IT ALL! Literally overnight, baking and cake decorating has become my passion! It is like this little flame that has ignited into a raging fire! I was retrenched in May 2014 from my full time job (Property Management) so this meant I could get to do my cake decorating all day long! Wow, how lucky am I? – love it! When my kids were younger (they are all grown up now and have moved out the house), they were lucky if they got a shop bought or a really home made job – I just didn’t have the knowledge on how to work in fondant or sugar paste so all their cakes were done with splodges of buttercream icing. I can clearly remember the “Barbie” cakes for both my girls and a Humpty Dumpty cake, being the only ones I could actually manage. I now get to make my grandchildren custom cakes and I absolutely love seeing the joy on their faces when they see it for the first time! My granddaughter’s excitement when seeing her cake at the surprise birthday party we held for her! My three children are also very creative. Sadly our very talented son, Robert, passed away on the 19th April 2017 at the tender age of 26 after battling lymphoma for a year. He was an amazing young man with so much talent and I was very lucky to have had my son, Robert, who studied 3D animation, involved at Lulubelle’s Bakes from time to time. He was very artistic and was a huge help in creating the 3D toppers for my cakes. If it wasn’t for Rob, I would never have even thought of getting into the cake industry so I have a lot to be grateful for. My amazing late son who designed my logo, helped with toppers and was and still is an inspiration to me! I also have two lovely kitchen assistants, Priscilla Chiweshe (my star baker!) and Alison Nathanson (my topper queen!). Without these two lovely ladies, my life would be very different! 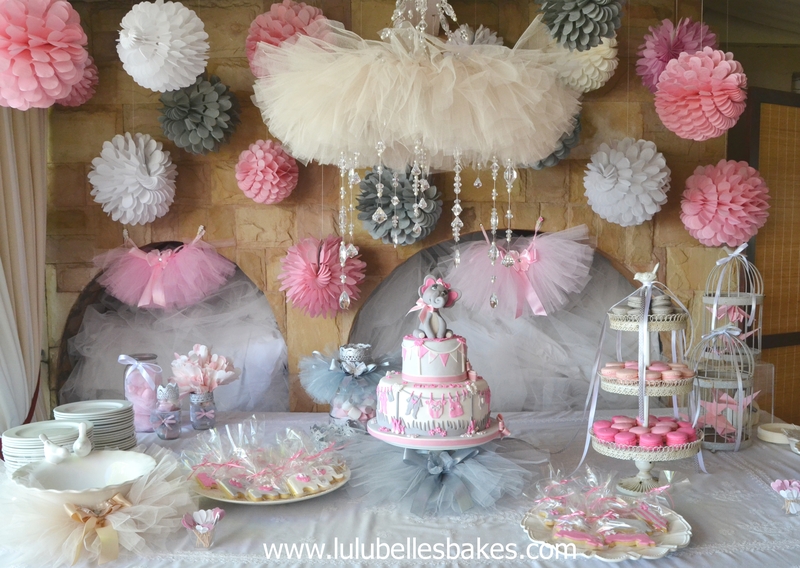 They have contributed immensely this past year to the success of Lulubelle’s Bakes – thank you ladies! Watch out when you see this sign on my car! Then, last but not least, there is my husband, Colin, who makes a mean delivery man at the weekends! He has driven me and my cakes far and wide and he knows to drive very slowly when there is a cake in the car! He’s my rock and my right hand man!